PSNews –1,300 athletes have been drawn to the Nationwide Paralympic Games 2018 held from July 9-13. The athletes compete in 9 categories, including: athletics, swimming, table tennis, weightlifting, badminton, chess, boccia, judo and tennis. Over 700 medals are expected to be presented to outstanding athletes. 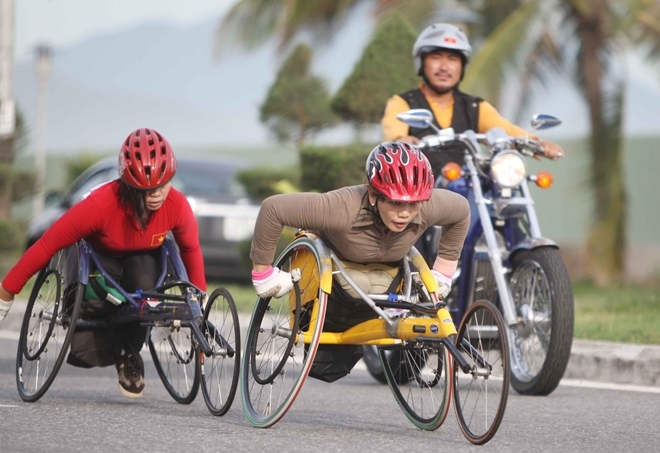 This special sport event is organized by the General Department of Sports in association with the Paralympic Association of Vietnam and the Department of Culture and Sports of Da Nang. This year’s Nationwide Paralympic Games has attracted the participation of 29 delegations of various provinces and cities with 1,300 athletes, 200 coaches, nearly 170 referees and 150 volunteers. rd Asian Para Games in Indonesia.